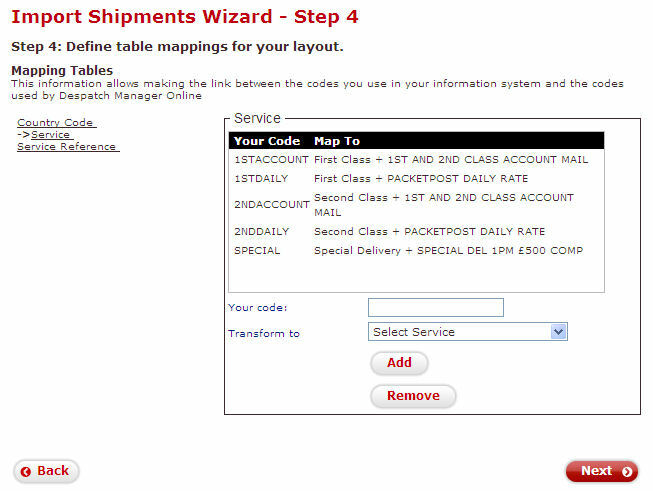 Using Order Processing for Actinic you can export all of your Actinic orders to Royal Mail Despatch Manager Online (DMO). 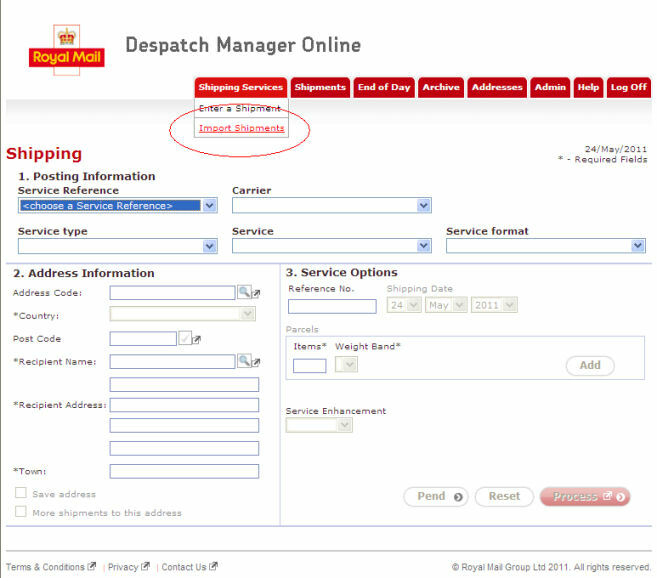 This guide will explain how to setup Order Processing and Royal Mail Despatch Manager Online (DMO). 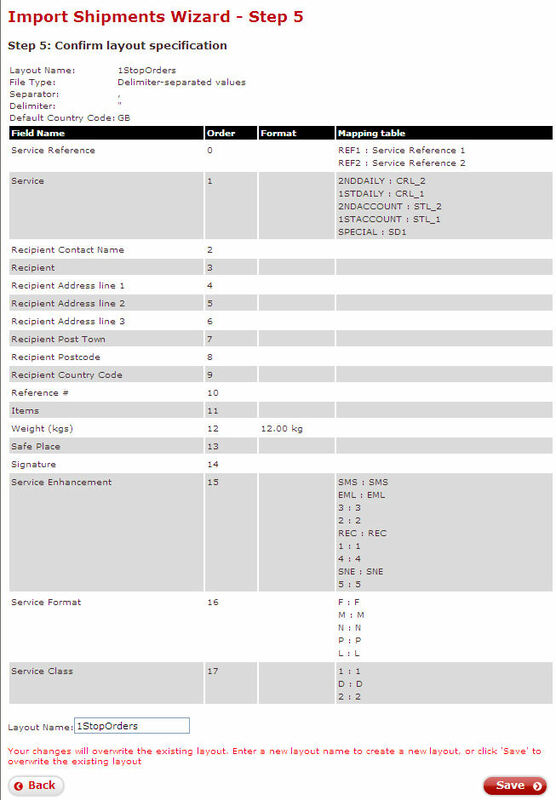 You will need our order processing software, available from http://www.mole-end.biz . There is a 30 day free trial of the software. You will also need to signup to Royal Mail's service. More information at: http://dmo.royalmail.com. If not installed you can download the software from http://www.mole-end.biz/download/ME_1StopOrders.exe . The software includes a 30 day free trial. 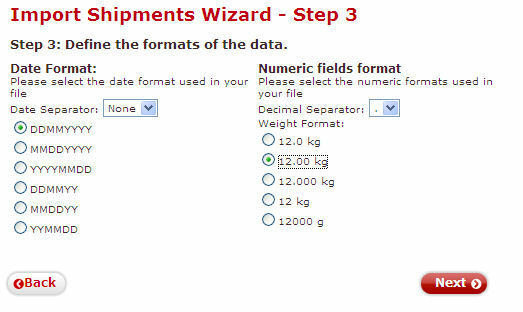 2 You can then tick the orders to export (using filters based on any fields shown, for example, pending and not shipped orders). 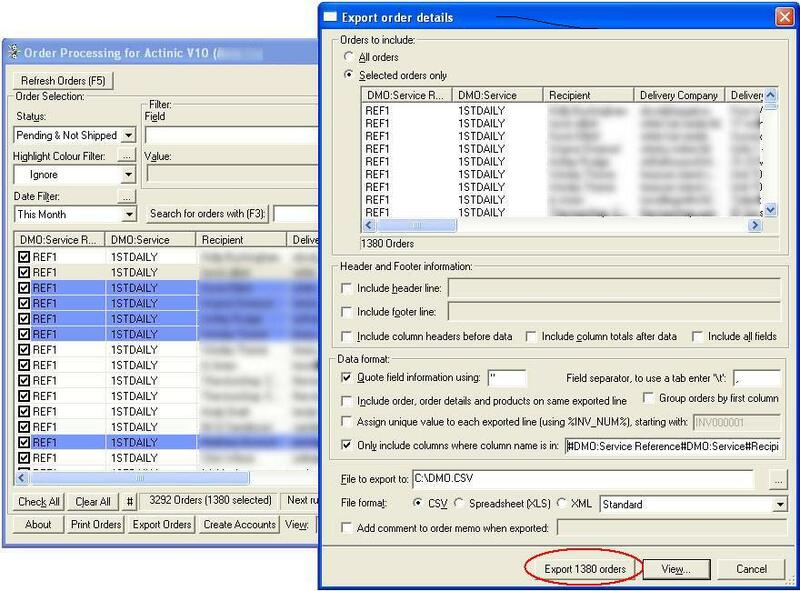 4 This will create a CSV in C:\ called DMO.CSV. If required, you can change the name and location of the file before exporting. 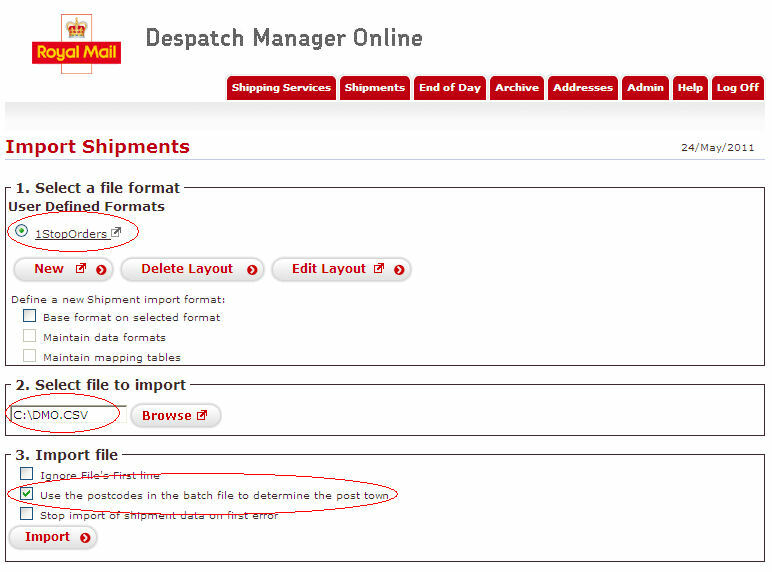 You can also add a comment to the order to show that this order has already been exported (and if required use this text as a filter to see which orders have not been exported to Royal Mail Despatch Manager Online (DMO). 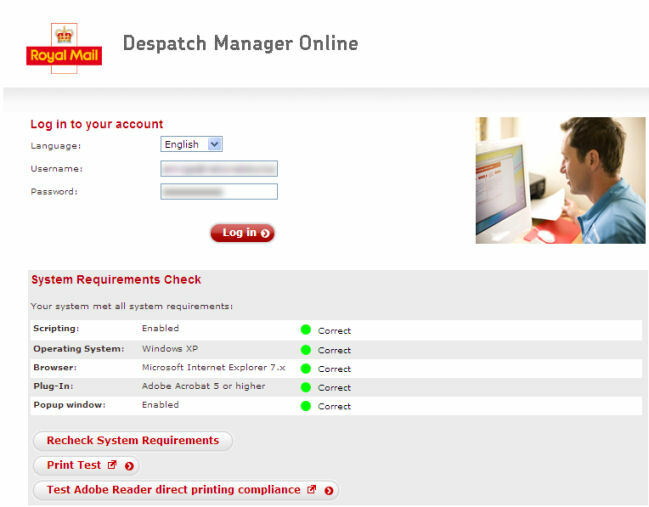 1 Go to the Royal Mail Despatch Manager Online website at https://www.rmdmo.co.uk/login.epl and login using details provided by Royal Mail. 5 In the Separated Values File Specification make sure the Separator is set to a comma (,) and Delimiter of a double quote ("). "Weight (kgs)","Safe Place","Signature","Service Enhancement","Service Format","Service Class"
This is shown below. When the information looks correct click on Next. 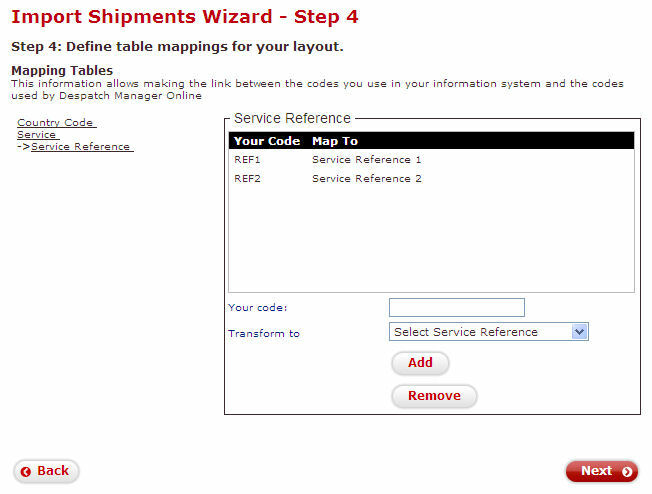 7 You can now setup the mappings to your Royal Mail Services. You can use the exact text that they use (or their default mappings). The mappings provided in the guide have been used to make it easier to use Macros in Order Processing where different service enhancements and services are needed for different orders. 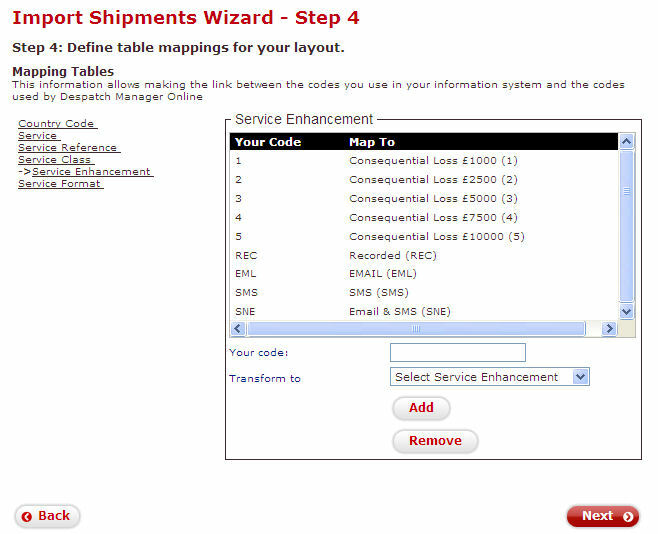 b For each mapping table add each of the mappings shown below (if available). 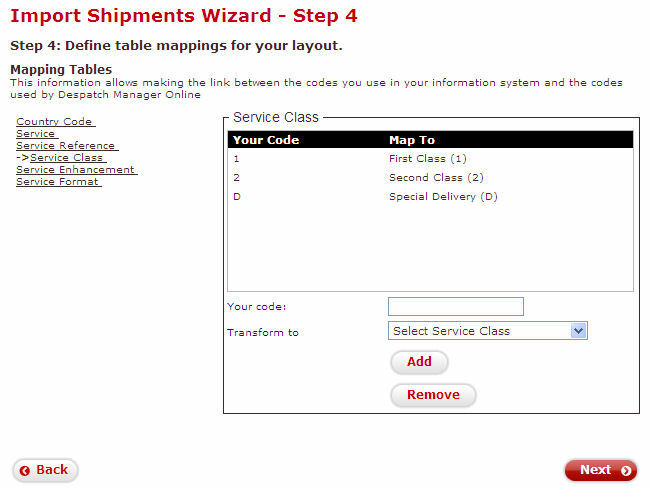 To add a mapping type in the code in the Your code box and select the value in the Transform to box and click on Add. Each of the mappings for the relevant fields is shown below in a table with how the windows should look after adding the mappings. 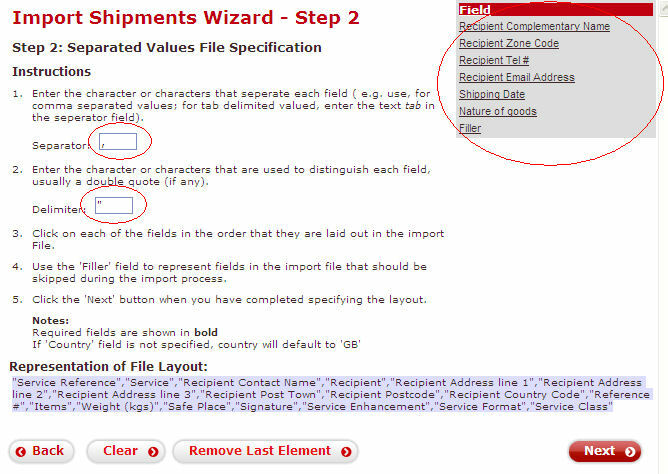 If you make a mistake you can click on the Remove button and reenter the mapping (or click on an item to amend it). The country codes do not need to be mapped as Order Processing produces the correct codes. 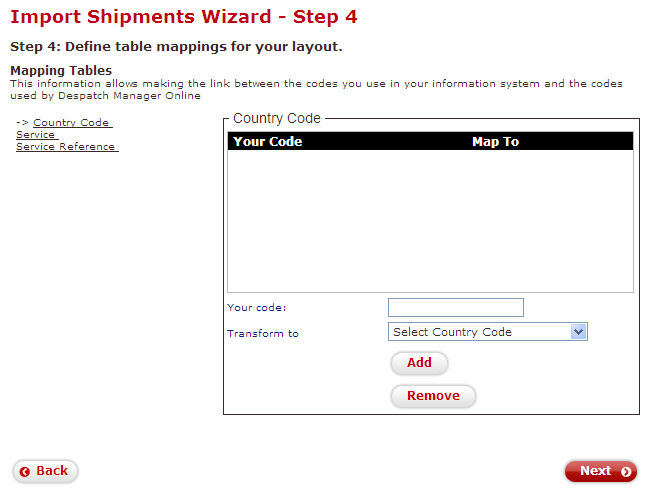 8 When the mappings have been added click on the Next button. Tick Use the postcodes in the batch file to determine the post town. 1 Amend the view (click on the Select Columns button). 2 Select the field to change Selected: box on the right hand side. 3 Click on the Amend field details button. 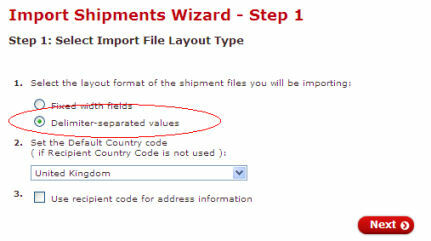 4 In the Amend field details window type the required value in the Default field value box and click on OK.
You can amend on an individual order by amending the order and changing the value on the Custom Values tab. 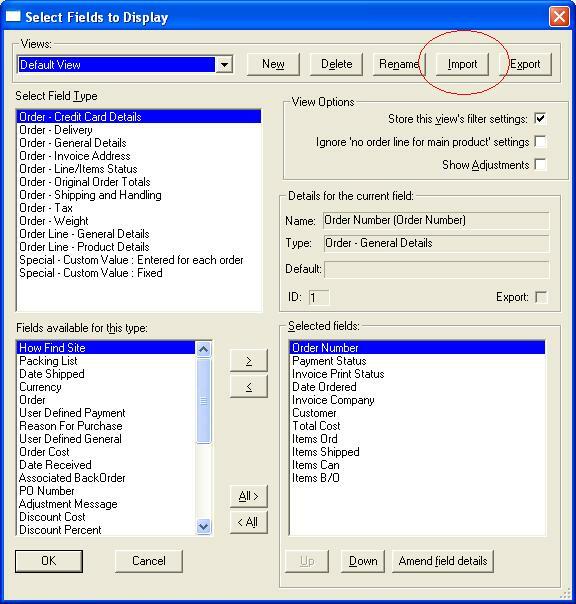 4 In the Amend field details window type the required macro in the Default field value box. To use fields in the macros they must be added to the view. For example, you may want to check the total postage paid. To check this add this to the view. This can then be checked in a macro. 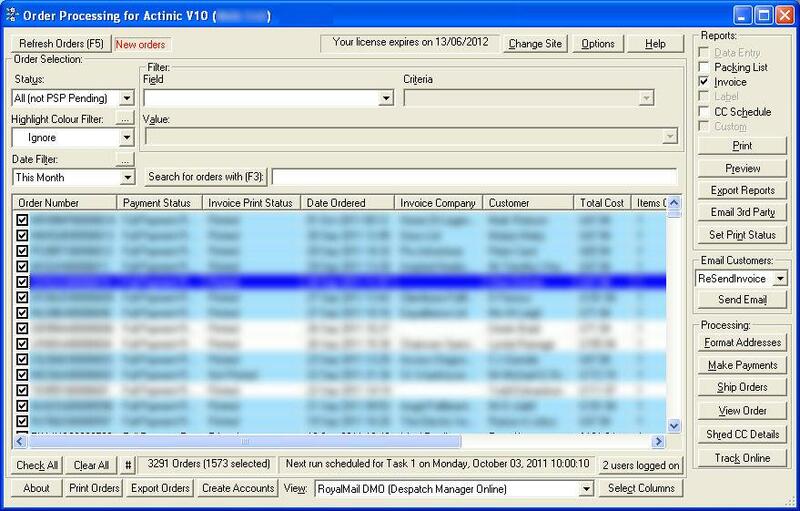 For information on how to setup macros click on the Help button or go to http://www.mole-end.biz/actalog/1StopOrdersDefFF.html.